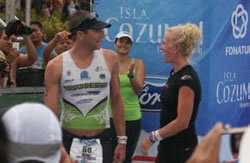 November 28, 2010 (Cozumel, Mexico) – Andy Potts of Colorado Springs won his second Ironman of the year (his first was at Ironman Coeur d’Alene in June) on the Mexican Caribbean island of Cozumel today, posting a new course record of 8 hours 16 minutes 14 seconds. Boulder’s Michael Lovato came in second with a time of 8:22:17. Both defeated a quality pro field that included Eduardo Sturla (third in 8:24:48), Petr Vabrousek (seventh in 8:40:09), Rutger Beke (tenth in 8:46:28), and Oscar Galindez. 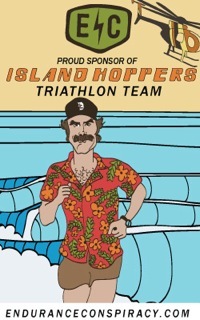 The warm venue provided a balmy 70 degree start and had a fast swim that ran back and forth parallel to the shore at a world famous snorkeling beach. As he did at the Ironman World Championship in Kona in October, Potts came out of the water first, this time in a blazing 45:17. Lovato entered T1 in sixth place with Boulder’s Justin Daerr behind him in seventh. A flat-and-fast three-lap bike course around the southern half of the island positioned many of the top men close together as they entered T2. Galindez and Sturla were first off the bike but Lovato rolled in just nine seconds back in third with Potts just a few seconds later in fifth. 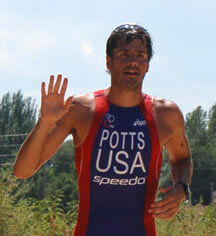 Potts took the lead early on the run. 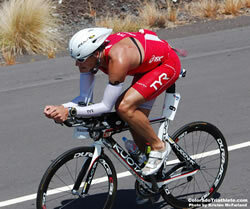 His course record time (8:16:14) was helped along with strong splits, including a 45:17 swim, 4:34:46 bike, and 2:52:19 run. 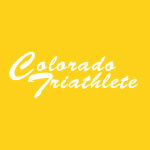 Lovato (8:22:01) posted a swim time of 49:10, a bike split of 4:30:25, and a run time of 2:58:49. 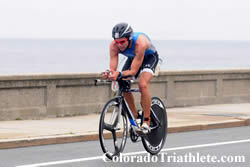 After a strong swim (51:22) and bike (4:35:26), Daerr dropped out during the run. In the women’s race, Americans Tyler Stewart (second in 9:23:44) and Amanda Stevens (third in 9:26:35) filled out the podium behind winner Yvonne van Vlerken (9:07:25) from the Netherlands.